Movie Story: A gangster sets out to fulfill his father’s dream of becoming a doctor. A man (Sanjay Dutt) poses as a doctor to prevent his father (Sunil Dutt) from learning he is a gangster. 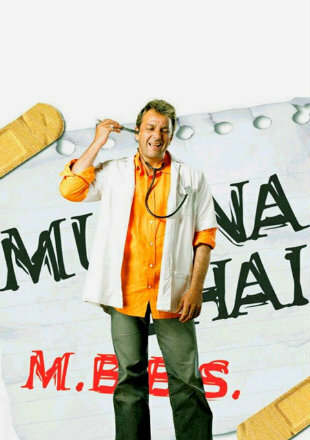 Munna is a goon who sets out to fulfill his father’s dream of becoming a doctor. With help from his sidekick Circuit, he enrolls himself in medical college and drives Dr. Asthana up the wall.